Locket measures approximately 20mm (0.79in). Also available in a larger diamond heart locket. 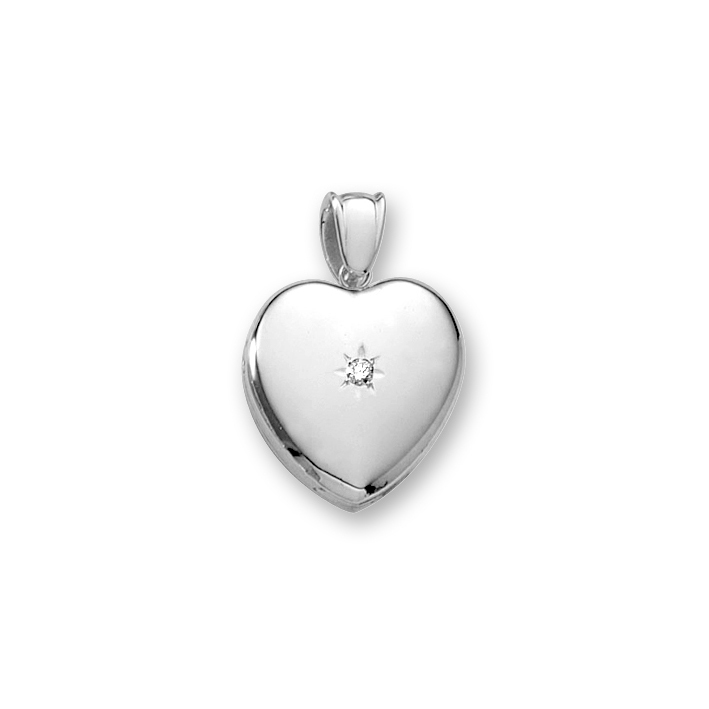 Locket features a 0.04 ct. tw. genuine diamond on the front. Also available without a diamond. 18" sterling silver rhodium chain included. Need a smaller or larger sized chain? Order one of our exclusive BeadifulBABY Grow-With-Me® sterling silver rhodium chains. Available in sizes 14" (Adjustable at 14", 13", and 12") , 16" (Adjustable at 16", 15", and 14"), and 20" (Adjustable at 20", 19", and 18"). Child shown in photo is 11 years old. Save $25 by purchasing this heart locket necklace in a mother daughter heart locket set. Step 2. Select Font / Monogram Style. Step 3. Add an Image (Optional).